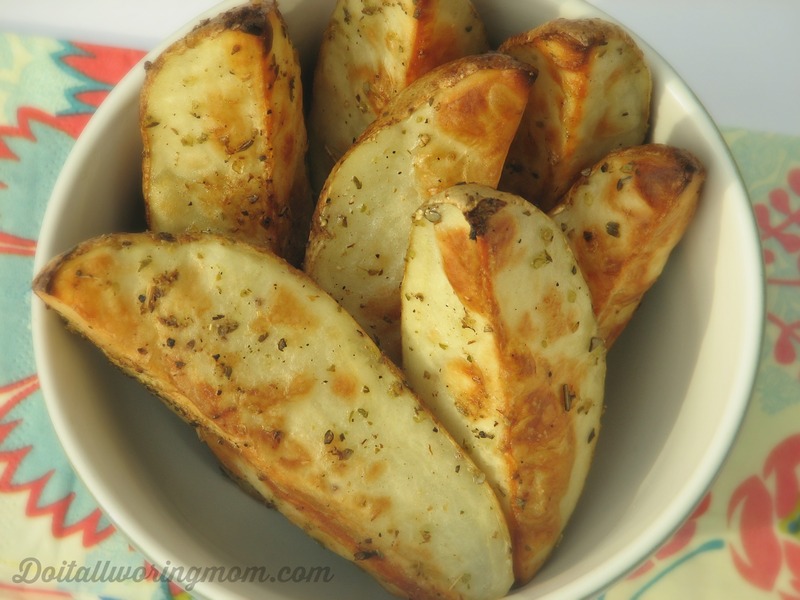 If you’re looking for the perfect side dish to accompany almost any meal, you have to try my delicious Baked Potato Wedges. So easy to make, and so delicious. Be sure to prepare enough, because your family will ask for more. Place your potatoes in a large freezer bag or in plastic container. Add the remaining ingredients, and give it a shake, until potatoes are covered with the oil and spices. 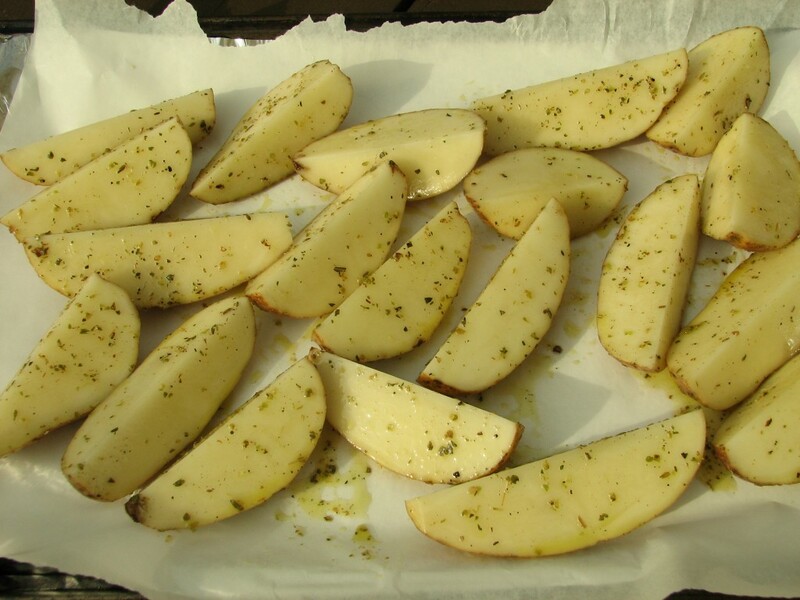 Place potatoes on a parchment paper lined baking sheet. Place your potatoes on a large freezer bag or plastic container. Add the remaining ingredients, and give it a shake, until potatoes are covered. Those are my husband’s favourite potatoes, and you’ll understand why after you taste them. Simply Delicious! Oh man, yum. I make similar ones (with tons of cheese lol). Since it’s Good Friday I should make some fish’n’ chips!! Fish and chip is a great idea! These look awesome, Caroline! And who doesn’t love an easy recipe? Easy is a must for weeknights suppers. Those look delicious! So easy too- perfect for my family! They are the perfect easy side dish! I LOVE potatoes!! 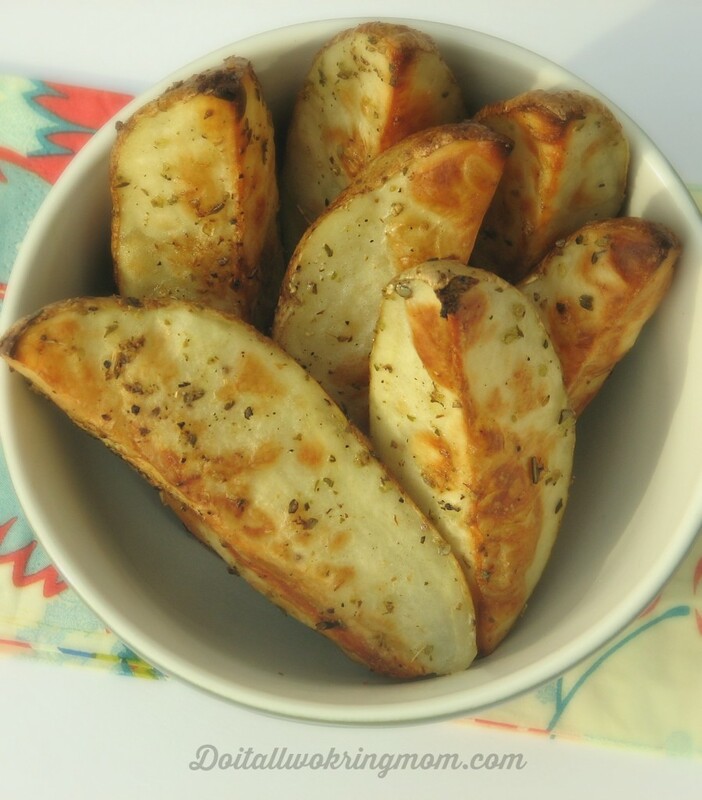 These look like a great side dish…I bet the parchment paper helps get them even crispier! My family loves them. A big hit at my house! 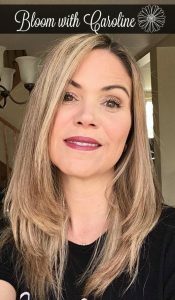 I am not the most creative cook, so thank you for sharing this easy recipe that I can make! I will be adding these to my grocery list for this week. They are really easy and yummy! These look amazing! Definitely remember this for my next side dish! They taste so good, and are super easy to make!